These quick tips are not mine, but the amazing handiwork of my current cooperating teacher (who doesn’t have a blog). I never thought as an experienced teacher that some of the most valuable classroom management tools I’d pick up in my second “student teaching” experience would be organization-related. I’m usually the person that people ask for organization tips, haha. But, Jessica has such amazing ideas that are so simple, I had to share them. 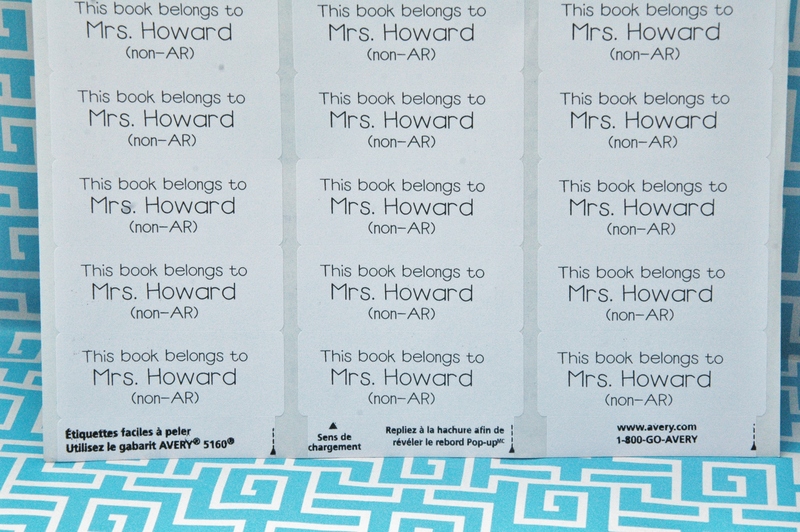 First up are the genius classroom library printable labels. 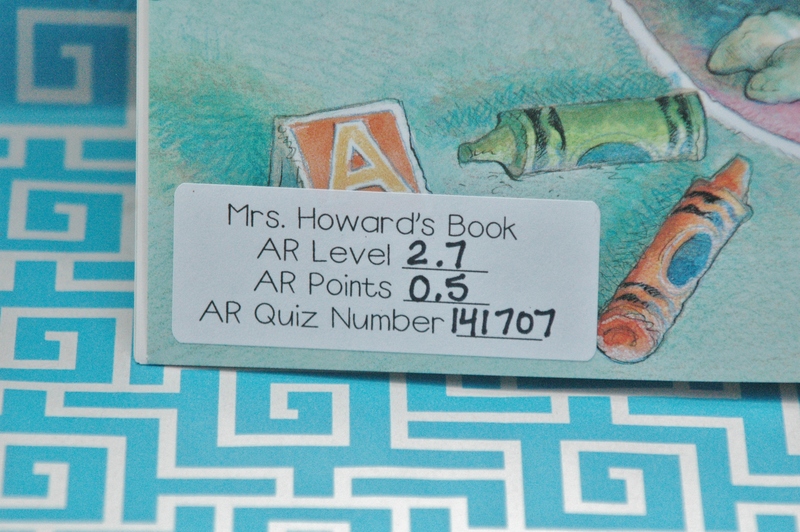 Jessica uses labels for a variety of purposes in the classroom and keeps lots of them handy at all times. 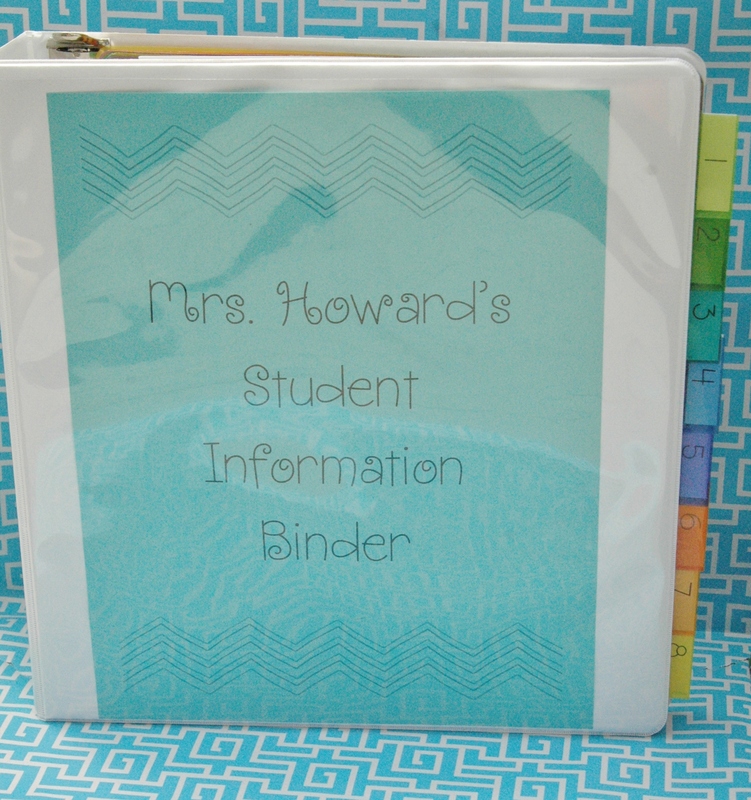 She even prints a sheet full with each kid’s name at the beginning of the year so as they get things such as folders, workbooks, class visitors, etc. she can just pull out a label with the kid’s name pre-printed and ready to go. I’ve also used labels myself in her classroom for having groups ready to go for a lesson. Just hand out the labels and the kids sort themselves! These labels are awesome, and I had to create my own. I use these Avery 5160 labels from Sam’s because they are cheap and don’t have all that extra label stuff around the outsides of the labels (and you get 100 sheets so they’ll last forever!). We have two sets – AR and Non-AR. This allows us (and by us, I mean she does this and I’m totally copying it for my own classroom) to organize books by levels easily in separate baskets and keep things running efficiently. It means that the students, who actively know their reading levels, even as they change throughout the year, can pick books that are appropriate and a bit of a stretch without being too easy or way out of their league. Isn’t this just so smart? To make things even more amazing, Jessica’s added a “librarian” job to her classroom, where each student has a page in a notebook so that they can check books in and out with the librarian during silent reading time each day. 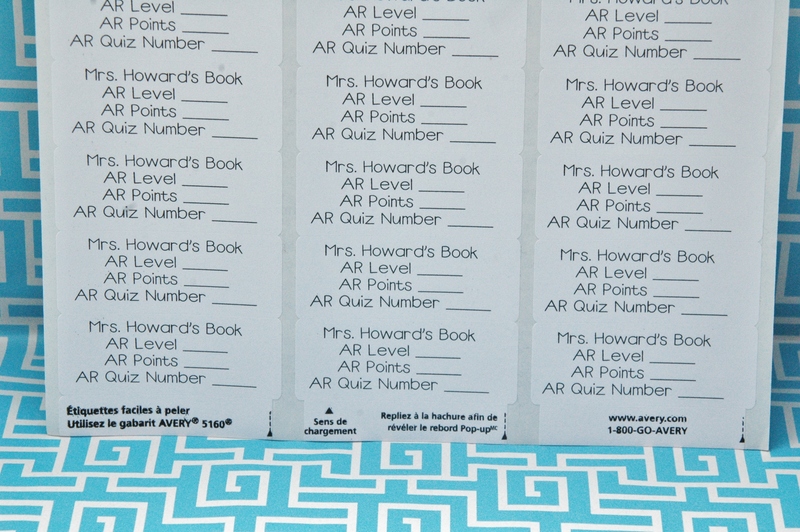 This not only helps keep track of where the books are, but also becomes a powerful tool for parent conferences or even RtI. As a teacher, you can look at exactly the books a student is checking out, how often, what levels, and what their comprehension testing results are. Can you say ahhhhhmaaazzzzzzinggggggggg? Next up on the I-can’t-believe-I’m-so-lucky-to-have-Jessica-as-a-mentor list is a method of organizing your kids. Yes, it’s by number and yes, there are some who believe that assigning students a number can be detrimental to the students. I assure you — I’ve seen it in action, and when it’s done correctly, it really helps in the classroom. For example, line leaders and door holders and just rotated by numbers instead of choosing different students each week. Students are always in numerical order starting with that week’s number, which means there is no fighting (EVER – I’ve been with the same class for four months, so I can say this for sure) about who is going to be line leader or who gets to stand by who in line. Talk about eliminating a huge problem from classroom management! The other benefit is arranging everything – coat hangers, mailboxes, textbooks – by number. If students have missing work, just write the numbers up instead of names (saves time and protects anonymity when others are in the room). If there is an emergency or even just a fire drill, students can line up in number order and be easily detected if missing. To take this a step further, keeping your classroom binder in number order really helps. 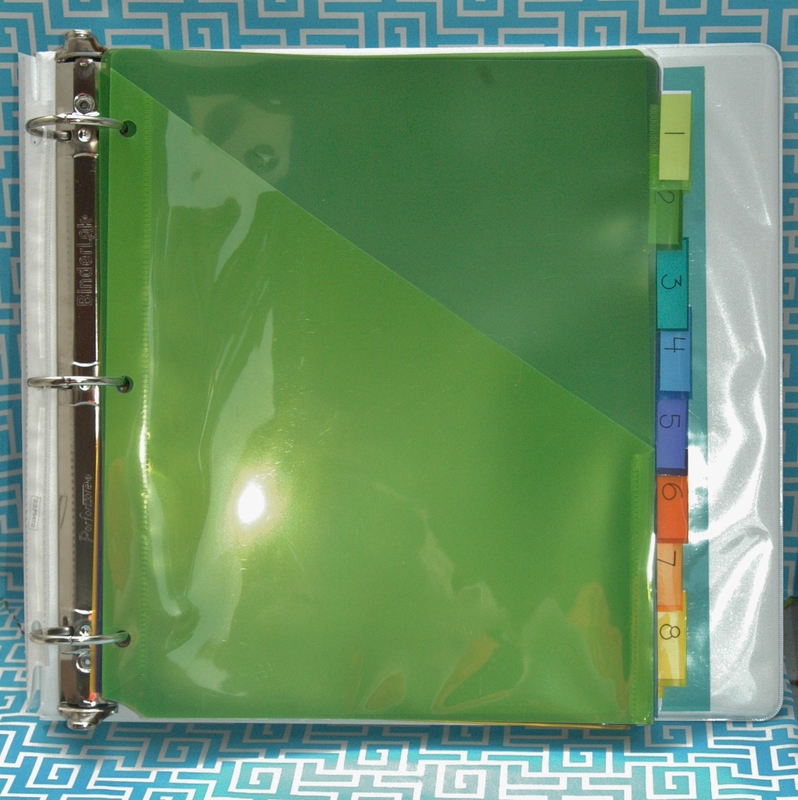 Jessica keeps a copy of important documents, parent contact logs, and anything else in this binder (assessment and RtI information are kept in a separate binder). She even keeps pocket tabs for those odds and ends that can’t be hole punched and added normally. Being able to grab all of this important information, organized easily, at a moment’s notice could be extremely important in the case of, oh, say, a tornado? (Yes, that actually happened earlier this year.) It’s so simple but seriously one of the best organizational tools I’ve seen in action. What kind of awesome tips do you have for the classroom? I’m sure I’ll think of more as I get back into the classroom, but if you have ideas or want to do a guest post, please share! since when has having a classroom number been a detrimental thing? i would think it contributes to student safety (as you mentioned). oh and kudos to jessica–i never thought anyone could out-organize you either!